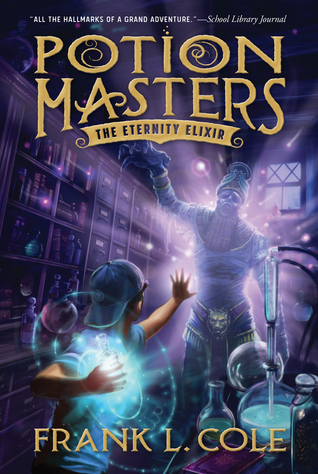 Book Description: Twelve-year-old Gordy Stitser is one of the few people who knows the truth about the secret society of potion masters, because not only is Gordy’s mom on the Board of Ruling Elixirists Worldwide (B.R.E.W. ), but she has also been training Gordy in the art of potion-making. My thoughts: This book is perfect for a young reader. The main character is a 12 year old boy who gets to be the hero. He has amazing abilities at making potions and saving the day. Fortunately, he gets a lot of action from point "A" to point "B". He also has two sidekick friends that add a great aspect to the book. One is too curious and causes a little bit of chaos and humor. The book is well written and flows well. I love the writing style and as I stated above, it's great for children. For most children, it will keep their interest and want them to turn the pages. I plan on having my reluctant teen read this for a book report coming up soon. He may just finish this one! About the Author: (Taken from Goodreads) Frank L. Cole has lived in such exotic places as the Philippines and Kentucky, and currently lives with his wife and three children out west. While he strived for years to earn his publishing credits, Frank considers sharing his message of “Exercising Your Imagination” to over 45,000 kids across the country as his greatest accomplishment. You can learn more about his writing at franklewiscole.blogspot.com.